Avocado salad dressing to replace ranch! 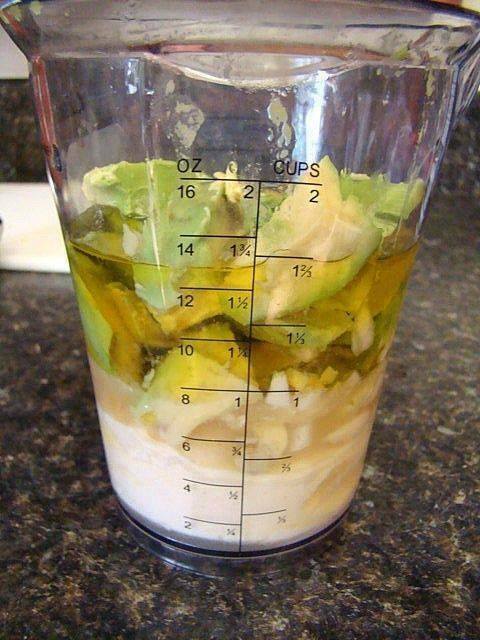 1 large avocado, 2 teaspoons fresh lemon juice, 1/2 cup greek yogurt, 1 teaspoon hot sauce, 1/4 cup extra virgin olive oil, 2 garlic cloves, 3/4 teaspoon salt. Enjoy! How long does it last in refrigerator? I would say it would last some time. I am assuming you would use it up before it goes off. Will this keep or turn brown?